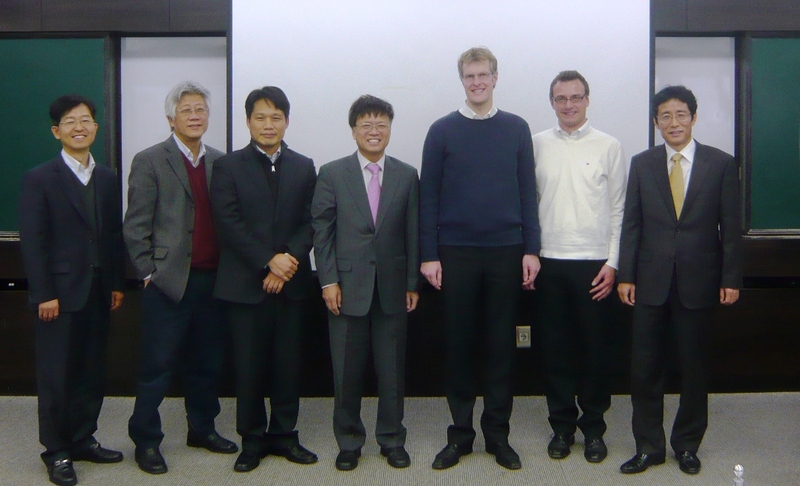 In a NSS workshop that was held at the Korea Advanced Institute of Science and Technology (KAIST) in Seoul, current research prospects in the project were discussed. An emphasis was set on how companies can capitalize on data that is stored in social media such as Facebook, LinkedIn, or Flickr. The workshop, hence, followed up on the exchange of ideas that was conducted some days earlier at the International Conference on Information Systems (ICIS) in Shanghai. On the institutional level, opportunities for applying for consecutive research projects were discussed with a representative from the Korean Government, who is in charge of the service research programme in Korea. In turned out that in Korea as well as in Germany, service research is heavily focused on integrating services with industrial goods in order to offer complex value propositions to customers. Established in 1971 as the nations first center for research in science and engineering, KAIST is the prime university of technology in Korea and upholds relations with many leading research insitutions world-wide. Please find more information at the KAIST website.